[Poll Results!] Do you still use the Apps Edge feature on your Samsung flagships? 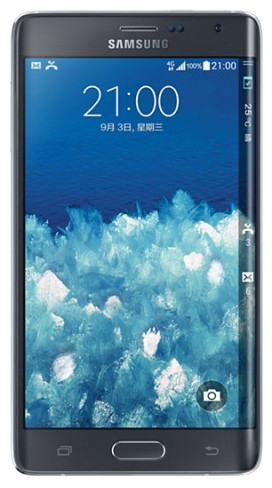 The Galaxy Note Edge was Samsung’s first smartphone with a curved “edge” display. It was announced at the IFA 2014 trade show in Berlin. Simply put, the functionality was amazing. The Galaxy Note Edge felt great in the hand and was easy to use thanks to its curved display. The software features, particularly Apps Edge, were well suited to the device. It allowed users to access the most frequently used apps or functions with a simple swipe. It turned out to be more of an experimental device for Samsung. It never released a successor to the Galaxy Note Edge. However, it did bring the curved display to the Galaxy S6 edge. The device had a display curved on both sides instead of just one side like the Galaxy Note Edge. This meant that the curve wasn’t as pronounced as it was on the latter. Thus Apps Edge was never as good as it used to be. The fact remains that the curved display on the Galaxy Note Edge was more functional unlike the curved displays on devices like the Galaxy S6/S7 edge, Galaxy S8+ and the Galaxy S9. Since the curve isn’t as pronounced, the Apps Edge panel now eats into the primary display area and there’s no additional functionality being offered. This isn’t going to get better with the Galaxy S10 and Galaxy S10+ either. The curved edges on those displays will be even smaller than they are on the Galaxy S9. I have been disappointed by the Apps Edge panel on all flagships since the Galaxy Note Edge. It’s sad to see that it took Samsung only a year to kill such a unique and amazing multi-tasking feature. What are your views on the matter? Vote below and share your thoughts with us in the comments below. Results: 45 percent voters say they still use Apps Edge, while 29 percent say they never use it. 25 percent of voters believe it needs more functionality, but we’re guessing that wish may not come true anytime soon since Samsung isn’t going back to bigger curves. A measly 1 percent of voters had no idea Apps Edge even existed. Do you still use the Apps Edge feature on your Samsung flagships? Yes, I use it all the time! I use it constantly. It’s a great time saver during a busy work day, and now that I have it with One UI and night mode it looks really very good. I use it all the time. So much so that when I ditched the S9 and went back to the S7, I immediately installed a third party app to replicate it. It’s one of those tremendously useful features that Samsung should actually build into ALL their phones, regardless of having curved screens or not. I think many Sammy users don’t like change, often dragged kicking and screaming into new features. For me, the more features the better. You don’t have to use them. That’s what Samsung is all about. Features should be updated, not removed unless absolutely necessary. I only use smart select. I turned the feature on my S9 off IMMEDIATELY. I REALLY wish that Samsung had kept with two model lines. Flat and Edge. I would upgrade again the second a FLAT screen was available and returned to the MUCH more scratch resistant GG4. Actually, I’ve decided to keep all my most used apps on the Apps Edge so that I don’t have to go to the home screen every time I want to launch an app. I just switch between apps using Apps Edge. It’s wonderful! All of my frequently used apps fit on the homescreen so it’s convenience is wasted on me. I’m always dragging out the calculator and the keep notes. Calendar is another I use a lot too. Good old-fashioned samsung innovation, the Note Edge. I really miss the original Edge. It’s too bad they didn’t keep that form with the newer models. Hence, I never use it. Perhaps I will revisit to see if it’s really useful. Clipboard history and Apps edge are really awesome. Both save me a ton of time. I like te yellow sign near my nick. Finally we can distinguish users, premium and staff. Almost like on old Sammobile. Do you miss any other premium feature? I think everything is ok. I’m happy with my premium. I just little hate commenting system here. I need to confirm everytime subscription for my comment on email. It is annoying, because I always write 5-10 comments daily. And sometimes website is slow. Today I had 503 error or something like that. I use it all the time. It really helps for one handed use. Combined with One UI, I would say that the Note9 can be used almost entirely with one hand, without having to use one-handed mode. You can fit your entire app drawer into apps edge. I keep forgetting it’s there tbh. But it is a useful feature to have. I moved all of the app folders from my home screen to Apps Edge for a cleaner look. Exactly. I don’t have multiple screens as it makes the screen clustered. I have 10 most used apps on the app edge alongside the dialer app so I can easily make a call without leaving the current screen. Right beside the app edge are the clipboard edge, softkey edge and smart select. I can’t do without the edge screen functionalities. make the note10 flat… curved screens dont fit on note devices…..